Elected by the General Assembly on March 1, 1982, to a 12-year term beginning the same day, filling the vacancy created by the retirement of Albertis S. Harrison. Service terminated by retirement in 1991. Returned to service as a senior justice, 2004-present. Elected, Journal of the Senate of Virginia, Regular Session 1982, 3380; birth, education, and career, Marie T. Hough, Nancy L. Woolfolk, and Bernadette Brabb, eds., The American Bench: Judges of the Nation, 1989-1990, Fifth Ed. 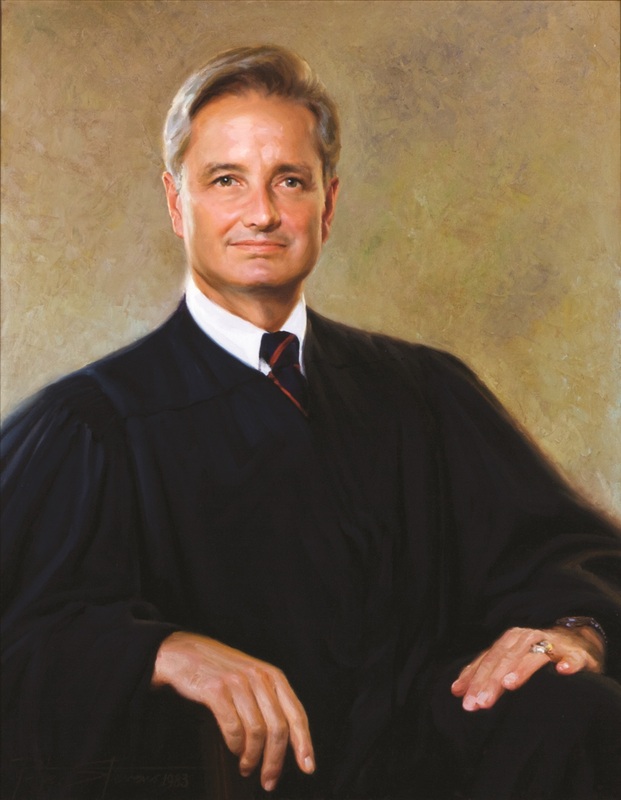 (Sacramento, CA: 1989-1990), 2483; nominated by the Democratic caucus, Celestine Bohlen and Patricia E. Bauer, “Arlington Judge Wins Fight to Fill Va. Supreme Court Vacancy,” The Washington Post, February 10, 1982, B2; military service, transcript of portrait presentation on February 28, 2006, published in 272 Va., xiii-xv; portrait, Library of Virginia portrait files, 2014. Retired Justice Russell has served as a senior justice since 2004.